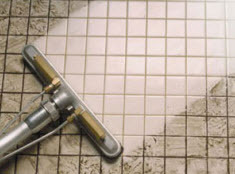 Leading Carpet Cleaning supplies commercial businesses and residential homes in Orange County, Riverside and surrounding California cities with a variety of fast, friendly, and professional services. We are fully licensed and insured to protect the interests of our valued customers. 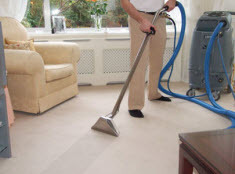 Leading Carpet Cleaning specialists are trained, experienced, and extremely efficient. With the use of top-graded products and equipment, exclusively offered to licensed professionals, we proudly executes consistent premium results. Leading Carpet Cleaning upholds a high moral standard, family-friendly customer service, along with superior delivery on all services rendered. Included in our vast list of services, we perform pet stain and odor removal on your carpets, rugs and upholstery. Pet odors and stains can occur in any home, or even businesses, that have pets. Even the most behaved, potty trained, and clean pet can have the occasional accident. Urine, droppings, and even vomit can blemish the carpet, upholstery, or rug, and the odor attached can be very potent. In many cases, treating the pet accident in your Orange County, Riverside and surrounding California home or business can increase the odds of removing the stain and residing odors without any issues, but for the accidents that have a chance to set, or multiple accidents, the stains and odors can dominate your home. To beat a stain, and defeat odors, understanding the properties is essential. Pet expulsions are protein based, and with protein based stains, it requires enzymes to remove the stain and neutralize the odors. Orange County locals can rely on Leading Carpet Cleaning to use our specially formulated enzyme carpet, rug, and upholstery formula to lift pet stains and extract the attached odors. The acid found in pet urine can alter certain carpet, rug, or upholstery dyes, in which it can permanently mar the color. 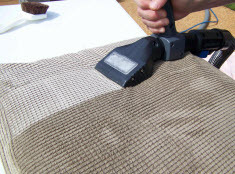 It is important to get Leading Carpet Cleaning professionals to the treat the stain as soon as possible to minimize the permanent effects. As the pet’s byproducts penetrate your carpets, it spreads out more so than the surface stain suggests, especially in pets that repeat offenders will tend to urinate and such in the same general area. Pet urine doesn’t just contaminate the carpet, but it will also soil the carpet pad and subfloor. Leading Carpet Cleaning treats pet stains with enzyme and deodorizing agent formula that saturates the carpet, padding and subfloor to fully and efficiently extract stains and odors, along with being environmentally friendly and safe for people and pets. Mattresses, rugs and upholstery carrying pet stains and odors need to be equally treated with our enzyme and deodorizer enhanced detergents that expel the stains and odors sufficiently. Instead of replacing or attempting one department store cleaner after another, make the right investment with Leading Carpet Cleaning. We rescue your rug and upholstery, as well as mattresses and carpets with our pet stain and odor removal service. Leading Carpet Cleaning is happy to assist your home or business with any pet stains and odors that are clinging to your carpet, rugs, and upholstery. Call us today to get started! !